1.1 This website is the corporate website of Arabian Radio Network FZ-LLC (ARN, we, us or our). ARN is a Dubai Creative Clusters Free Zone-registered company. 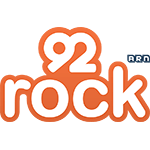 It currently operates nine radio stations, each of which has its own website (each of these nine websites is a Site and together they are the Sites). 1.2 References to you, your and yours are references to you, the person(s) accessing any Site. 1.3 The content contained on our Sites is only for information purposes. If you do not agree to our Legal Terms, do not access, view or otherwise use any of our Sites or register as a user.  3.1 You are responsible for your internet connection to access our Sites. You are also responsible for ensuring that any person who accesses them through your internet connection is aware of our Legal Terms and complies with them. transmit, or cause the sending of, any unsolicited or unauthorised advertising or promotional materiel or any other form of similar solicitation (Spam). 3.3 While we will endeavour to ensure that the Sites are available twenty-four (24) hours a day, access to them may be suspended temporarily and without notice due to a system failure, maintenance, repair or for reasons beyond our control. You agree that we will not be liable to you if the Sites are unavailable at any time or for any period for any reason. 3.4 Access to the Sites is permitted on a temporary basis. We are entitled to deny or restrict access to the Sites, whether temporarily or permanently, by any person or organisation, or to block access from a particular internet address to the Sites at any time, without giving any reason and without any liability whatsoever. 3.5 The Sites may contain the option for you to receive push notifications, which is how information, news, alerts, sounds and icon badges may be delivered. When you are logged into a Site, you will receive a message asking if you wish to allow push notifications and if you accept, these push notifications will be delivered whether you are logged into and/or using the Site or not. You can control the push notification in your device’s or the Site’s settings. 4.1 All content and materiel on the Sites other than User-Generated Content (Our Content) belongs either to us or our licensors and is protected by world-wide copyright laws. create any database by downloading and storing any of our Content. 4.3 You may not create any link from or to any Site without our prior written consent. 4.4 You must not duplicate, distribute, publish, transfer, transmit, copy, alter, sell, use to create any derivative work or otherwise misuse any content of a third party provider which may be available on or through any Site. 4.5 You must comply with all terms disclosed to you as required from time to time by any third party supplier of data or services to the Sites, including but not limited to, where necessary, entering into a direct agreement with that third party in respect of your use of its data. 4.6 You agree that, although a Site may contain or make reference to trademarks or other proprietary intellectual property rights of our partners or other third parties, you are not granted or have conferred upon you any licence to, or right in, any of these trademarks or other proprietary intellectual property rights by reason of such reference. 4.7 You agree that any rights not expressly granted in our Legal Terms are retained by us. 4.8 If you breach any of the provisions in our Legal Terms, our consent for you to use the Sites and your licence to use Our Content automatically terminates and you must immediately delete or destroy any downloaded or printed extracts of Our Content that you obtained from the Sites. 5.1 You may access materiel on the Sites without registering with us first. However, we may restrict access to certain areas (for example, any Forums, defined below) and you may need to register to access them. 5.2 Your registration information must be accurate and complete and you must notify us of any change to that information, in particular to your e-mail address. 5.3 You warrant that you will not impersonate anyone else when registering for, or using, the Sites or the Site Services. 5.4 You must not allow anyone else to access any Site by using your user name and password (ID). 5.5 You are liable to us for all Site access made by you or anyone else using your ID and we will not be liable to you or anyone else for unauthorised use of your ID. contains any other form of illegal content. 6.1 The Sites may include chat rooms, bulletin boards, discussion groups and other public areas that allow you to interact with other users and any of our journalists, who will be clearly identified as such, (Forums) and to post/transmit/upload (Post) your content to the Sites (User-Generated Content) such as reviews, blogs and gallery. 6.2 Where we do provide a Forum, we will provide clear information to you about the nature of the service being offered and we are entitled to cease providing it without notice and liability to you. 6.3 Our journalists may contribute materiel to any Forum in order to stimulate discussion and ensure their smooth running. 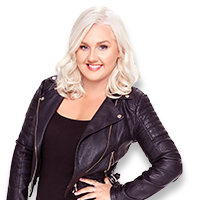 Forums may also contain User-Generated Content from special guests selected by us. The opinions of our journalists and special guests are their own and are not necessarily endorsed by us. You must not consider them to be professional advisers and must not rely on any comments they make. 6.4 You must be registered as a user (unless otherwise stated) in order to Post your User- Generated Content, the content of which is your sole responsibility. it does not give the impression that it emanates from anyone else (including us) if that is not the case. post or otherwise publish any User-Generated Content which is unrelated to a Forum or the Forum’s topic. 6.7 By Posting your User-Generated Content you hereby grant a perpetual, royalty-free, worldwide, exclusive licence to us to use, reproduce, modify, translate, make available, distribute and publish it and to distribute and/or broadcast some or all of it in all media and in all formats (including transmission by way of analogue transmission, digital audio broadcasting, internet, satellite, television, film, cable or telephony) and to sub-licence any other persons to do so, in each case for such purposes as we may in our reasonable discretion determine (which can be terminated by your removal of your User-Generated Content from the Site and your email to us at our ‘Contact’ page giving full details of your User-Generated Content that you wish to be removed, and we will endeavour to remove it from a Site within 28 days), you waive all moral rights you may have in it and you warrant that you have obtained a waiver of all others’ applicable moral rights. 6.8 By submitting your User-Generated Content to a Site, you indemnify us from all claims, costs, liabilities and expenses (including legal expenses) suffered by us because any of your Posted User-Generated Content is in breach of our Legal Terms. 6.9 You agree that we may disclose your identity to any third party who claims that User-Generated Content you have Posted to a Site violates its intellectual property or any other legal right. we are not liable to you in respect of any User-Generated Content you view on any Site. 6.11 We do not control or monitor all User-Generated Content posted to Forums by users but we reserve the right to do this (whether by human moderation or technical methods) or to delete, move or edit any of your User-Generated Content without notice to you. 6.12 We may contact you by email with regard to your use of the Forums. 7.2 We will remove any of Our Content or User-Generated Content that we reasonably believe breaches our Legal Terms without prior notice or liability to you. 8.1 We will determine in our sole discretion whether there has been a breach of our Legal Terms through your use of any Site and may take such action as we deem appropriate. taking any other action we reasonably consider to be appropriate. attack any Site via a denial-of-service attack or a distributed denial-of-service attack. 9.2 Any breach of Part 9.1 immediately ends your right to access our Sites and is a criminal offence which we will report to the relevant law enforcement authorities and co-operate with them by disclosing your identity. 9.3 We will not be liable to you for any loss or damage caused by a distributed denial-of-service attack, virus or other technologically harmful materiel that may infect your computer equipment, computer programs, data or other proprietary materiel due to your access to any Site or to your downloading of any materiel which is Posted on any of them, or on any website linked to them. 10.1 A Site may contain links to other websites provided by independent third parties (Third Party Sites), either directly or through frames. Where possible, we will make clear such links are being made, although Third Party Sites may be co-branded with us and so include our trademarks. We are not responsible for the availability or content of Third Party Sites and will not be a party to, or in any way responsible for, any transaction concerning goods or services available from such Third Party Sites. In particular, if you use links from the Sites to an authorised connected site which is not operated by us to download software or any other materiel, file, image or data from the Third Party Site, you acknowledge and agree that we have no responsibility or liability in connection with it. 10.2 We are not responsible for the accuracy, timeliness, continued availability or existence of content, hyperlinks, or third party websites or pages linked to any Site. If any hyperlink to a downloadable software site is included on any Site, these are for your convenience only and we are not responsible or liable for any difficulties or consequences associated with your downloading the software. Use of any downloaded software is governed by the terms of the licence agreement, if any, which accompanies or is provided with that software. 10.3 We make no representation or warranty regarding the accuracy, functionality or performance of any third party software which may be used in connection with any Site. Part of any Site may contain advertising and sponsorship. Advertisers and sponsors are responsible for ensuring that materiel submitted for inclusion on it complies with applicable laws. We are not responsible to you for any error or inaccuracy in their advertising materiel. Any information or opinion provided by us or through a third party on any Site does not constitute an offer to sell or solicit an offer to buy any goods or services. We may make changes to any Site or our Legal Terms from time to time. You should review our Legal Terms regularly to ensure that you are aware of any changes we make. By continuing to use the Sites, you are agreeing now to be bound by future changes. 14.1 The content of the Sites is distributed to you without any warranty of any kind. We and any provider of third party content or their respective agents disclaim any and all warranties, either express or implied, including, without limitation, warranties of title or implied warranties of fitness for a particular purpose, with respect to the Sites and their content. 14.2 Information on the Sites is provided on an ‘as is, as available’ basis and to the fullest extent permitted by law we and any provider of third party content or their respective agents do not give or make any warranty or representation of any kind, whether express or implied in respect of such information. You expressly agree that the entire risk as to the quality and performance of the service and the accuracy or completeness of our content is assumed solely by you. do not represent or warrant that any Site will be available or that it will meet your requirements, that access will be uninterrupted, that there will be no delays, failures, errors or omissions or loss of transmitted information, that no viruses or other contaminating or destructive properties will be transmitted or that no damage will occur to your computer system. You have sole responsibility for adequate protection and back-up of data and/or equipment and for undertaking reasonable and appropriate precautions to scan your device for computer viruses or other destructive agents. 15.1 Our Content and any User-Generated Content is for your general information and use only and is not intended to address your particular requirements. While we aim to update the Sites regularly, any of Our Content or User-Generated Content may be out of date and we assume no responsibility for updating it. In particular, Our Content and any User-Generated Content does not constitute any form of advice, recommendation or arrangement to you by us and is not intended to be relied upon by you in making (or not making) any particular decision. any arrangement made between you and any third party named on any Site, which was made at your sole risk and responsibility. 15.3 Because of the number of sources from which we obtain Our Content and User-Generated Content and the nature of electronic distribution via the internet, we do not give any warranties in respect of the Sites or the Site Services. In particular, the Site Services are provided on an as is basis. We disclaim all warranties, conditions or duties of every nature whatsoever (except any duties of good faith), including without limitation, any implied warranties of merchantability, of fitness for a particular purpose, any express or statutory warranties, and any warranties or duties regarding accuracy or timeliness. In addition, we do not warrant that the Site Services are free from infection by viruses or anything else that has contaminating or destructive properties. 15.4 To the fullest extent allowed by applicable law, you agree that we will not be liable to you and/or any third party for any consequential or incidental damages, including loss of business, income or revenue, lost profits or contracts, loss of data, privacy or goodwill, failure to meet any duty including but not limited to any duty of good faith or any indirect, special, or punitive damages whatsoever that arise out of or in connection with the use of the Sites or the Site Services or any breach of our Legal Terms by us, even if we have been advised of the possibility of such damages. 15.5 Notwithstanding the provisions of this Part, our liabilities will not be limited to any that cannot be excluded or limited by law. 15.6 You agree to fully indemnify, defend and hold us and our affiliates, and their respective officers, directors, owners, agents, information providers and copyright owners from and against any and all claims, losses, costs and expenses (including legal fees) incurred by any such party in connection with any claim arising from your use of, or connection to, the Sites, or from any breach by you of our Legal Terms. Some of the content used on our Sites (such as, but not limited to, images and/or audio-visual materiel) may be the copyrighted works of third party suppliers, which reserve all their rights in such content. These third parties will be entitled to the benefit of our Legal Terms in respect of their content as if they were we and will be bound accordingly. We may give you the option to subscribe to any e-mail news service, in which case your use of any information received in this manner will be subject to our Legal Terms. You may not assign, sub-licence or otherwise transfer any of the rights under our Legal Terms. If any term is found to be invalid by any court having competent jurisdiction, the invalidity of that provision will not affect the validity of the remaining provisions, which will remain in full force and effect. Failure by either us or you to exercise any right or remedy under our Legal Terms does not constitute a waiver of that right or remedy. Headings in our Legal Terms are for convenience only and have no legal effect. Our Legal Terms are governed by, and construed in accordance with, the laws of the Dubai International Financial Centre (DIFC) and you irrevocably agree that the courts of the DIFC have exclusive jurisdiction to settle any dispute between us which we are unable to resolve ourselves. 21.1 Our Legal Terms represent the entire understanding and agreement between you and us concerning your use of the Sites and Our Content. Any and all previous courses of dealing, written or oral understandings, discussions, representations, correspondence and communications between you and us relating to the matters covered by our Legal Terms are hereby superseded. You agree that you have not relied upon, and will have no remedy in respect of, any warranty, statement, representation or understanding made by us or any other party unless it is expressly set out in our Legal Terms. 21.2 If any provision of our Legal Terms is held by any competent authority to be invalid or unenforceable in whole or in part, the validity of all other provisions will not be affected. Any queries or comments about the Sites or our Legal Terms should be directed via email to info@arn.ae. 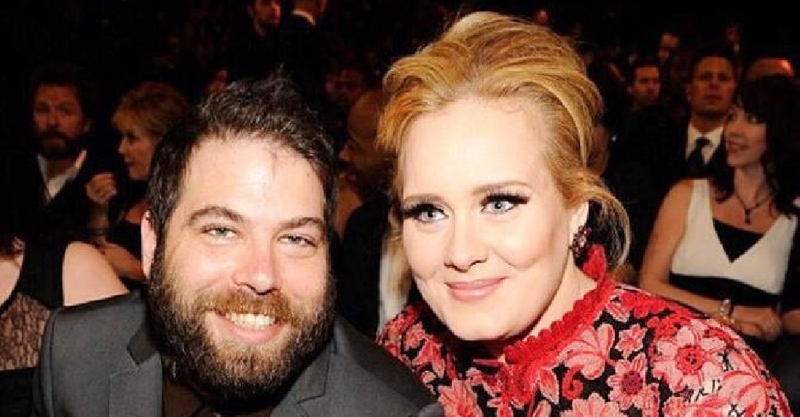 Adele has separated from her husband Simon Konecki. 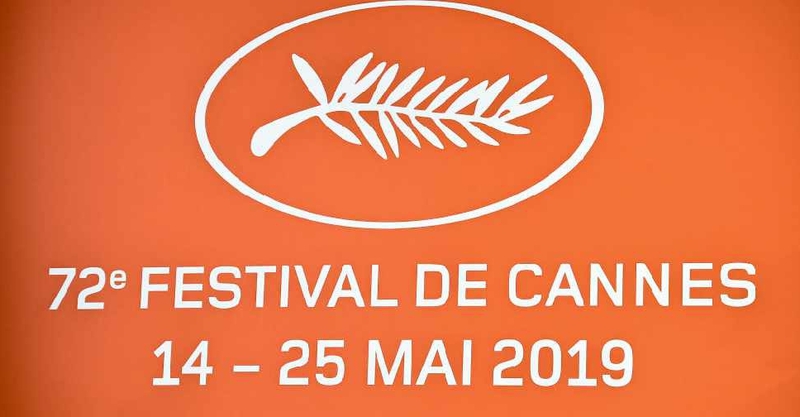 The line up of the 72nd Cannes Film Festival was unveiled on Thursday, with veteran directors Terrence Malick and Ken Loach set to present new films. 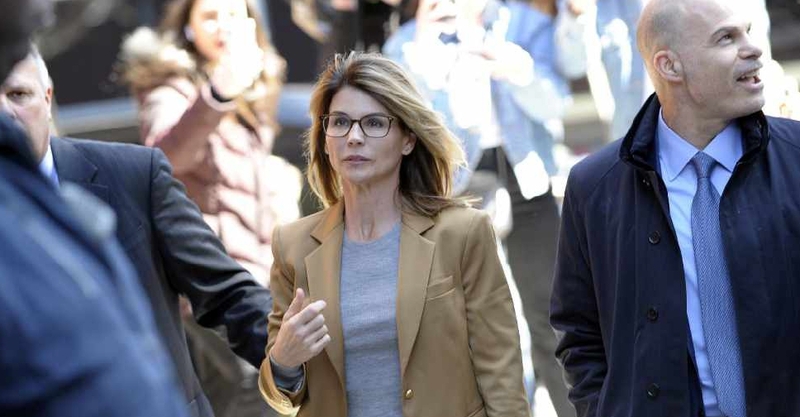 Actress Lori Loughlin has entered a not guilty plea to two conspiracy charges in the college admissions scandal. 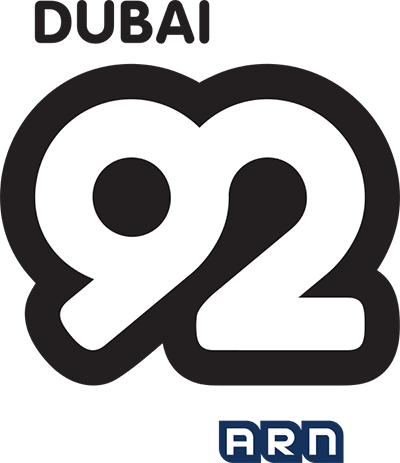 © 2019 Arabian Radio Network and Aiir. All Rights Reserved.